The Freedom Caucus has put moderate Republicans in a corner over Trumpcare. Kill the health care bill, or lose your seat. Rep. Tom MacArthur, co-chairman of the GOP Tuesday Group, arrives at the office of Speaker of the House Paul Ryan at the Capitol on March 23, in Washington. There is finally real movement on the American Health Care Act, the bill that was left for dead almost exactly one month ago. The Freedom Caucus, to which most of the conservative holdouts on the original bill belonged, endorsed the bill Wednesday afternoon, bringing at least 80 percent of their members on board. This puts the bill’s moderate holdouts—largely members of the Tuesday Group—in an impossible spot: The one remaining barrier to House passage of a long-held Republican promise. If they don’t go along, they will get all the blame. If they do, it could cost them their seats in Congress. 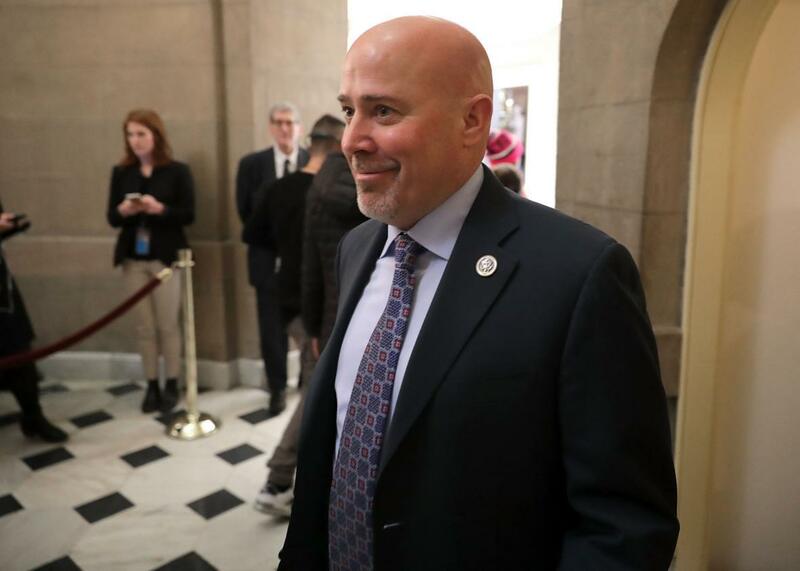 The MacArthur amendment, a compromise between New Jersey Rep. Tom MacArthur, a co-chairman of the Tuesday Group, and North Carolina Rep. Mark Meadows, chairman of the Freedom Caucus, was supposed to unite both caucuses. * It did the trick for the Freedom Caucus, but there’s no indication MacArthur has flipped any of his members. The amendment, which has been in the works for weeks, would give states the option of waiving out of several of the Affordable Care Act’s regulations. One is the requirement that qualifying health plans offer 10 “essential health benefits.” Another is community rating by health status, which prevents insurers from charging sick people drastically higher rates. (If a state waived out of the community ratings, it would be required to participate in or set up a high-risk pool for sicker customers who would otherwise be priced out of regular insurance markets.) States could also seek waivers allowing insurers to set higher ratios for what insurers could charge older customers relative to younger ones. Freedom Caucus members initially groaned at the idea of states “begging” the federal government for the right to waive regulations, but now they’re on board. The text of the amendment, which Politico published Tuesday night, gives insight into why: There won’t be much “begging” involved. Waiver approval is conditioned on the state offering just one of the following justifications: That it would reduce average premiums, increase overall insurance enrollment, stabilize the state market, stabilize premiums for those with pre-existing conditions, or increase the number of insurance plan offerings. As the New York Times’ health reporter Margot Sanger-Katz tweeted Tuesday night, “Basically, states can jettison EHBs and community rating, as long as they give a reason.” And if the secretary of health and human services doesn’t reject the waiver application within 60 days of submission, it’s approved by default. In short, a state can scribble “me want freedom” on a piece of paper and send it to HHS, and if Secretary Tom Price doesn’t do anything about it for two months, insurers in that state will be free to charge sick people who haven’t maintained continuous coverage as much as they want or strip down required benefits. The amendment doesn’t specify conditions for the mandated high-risk pools—funding levels, for example—either. It was evident the Freedom Caucus votes were rolling in Tuesday night, even, as Texas Rep. Joe Barton admitted Wednesday, that members had agreed to an “oath of silence” until Meadows went public with the endorsement. The Washington Post reported Tuesday that Meadows, former caucus chair Rep. Jim Jordan, and Idaho Rep. Raul Labrador—arguably the conference’s three most high-profile members—were ready to come on board. Virginia Rep. David Brat and Tennessee Rep. Scott DesJarlais said that they were prepared to support it. As of Wednesday morning, Alabama Rep. Mo Brooks was still making up his mind. But if the typically unsatisfied Brooks was undecided on something, instead of expressing horror at the very idea of voting for it, then there was a pretty good chance that most of the rest of the caucus would be for it. Pennsylvania Rep. Charlie Dent, a fellow co-chairman of the Tuesday Group who’s been frozen out of the most recent negotiations, confirmed that he was still a no Tuesday night. When I asked him what this compromise had to offer moderates, he responded, simply, “good question.” New Jersey Rep. Leonard Lance and New York Rep. Dan Donovan also remain noes. Northern Virginia Rep. Barbara Comstock—whose announcement of her “no” vote in March served as a bellwether of the bill’s ultimate death—did not appear to be in the mood for discussing health care reform when I saw her Wednesday morning. “I’m still talking to folks,” she said. Pennsylvania Rep. Ryan Costello, another vulnerable moderate, said he still had serious concerns, but that it was “fair” to say he was neither a hard yes nor a hard no at this point. And one very, very vulnerable member, Colorado Rep. Mike Coffman, said Wednesday afternoon following a Tuesday Group meeting that he was “undecided.” He had supported the original bill. The Freedom Caucus never wanted the legacy of “The Group That Saved Obamacare,” and they’ve successfully found a way to shed it. The question now for Tuesday Group holdouts is whether it’s a title they can live with.